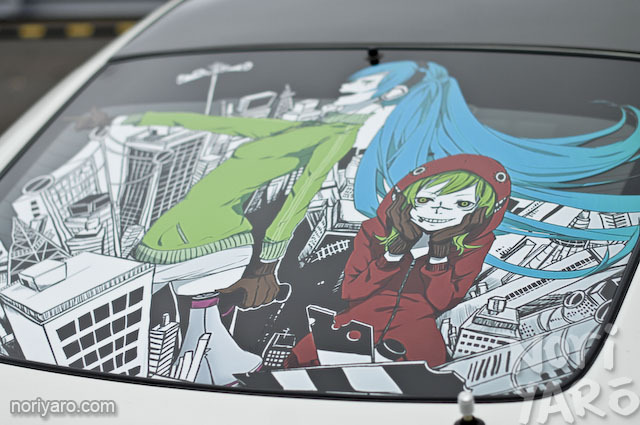 For those who are still clueless as to what an itasha is, rather than plastering a car with the name of your tuning shop or favourite parts maker, itasha owners cover it with their favourite anime characters. 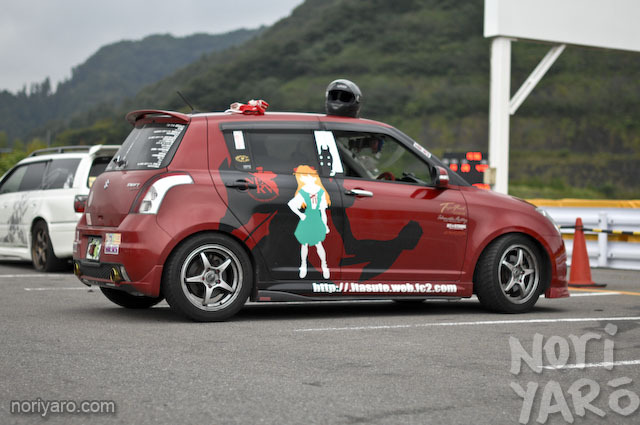 Here’s a Suzuki Swift version of Asuka’s Nigouki from Evangelion. 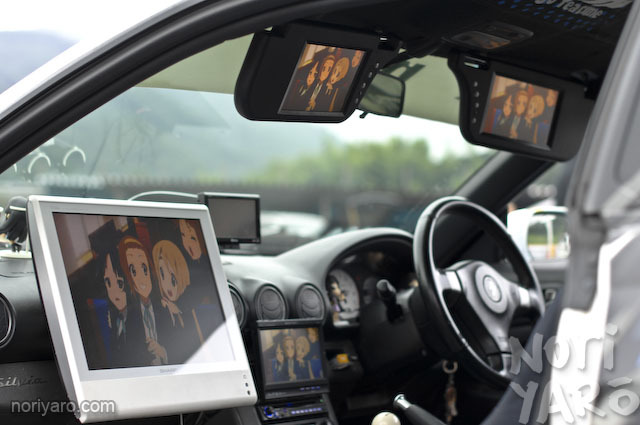 Here’s an explanation of itasha that I wrote in this post. 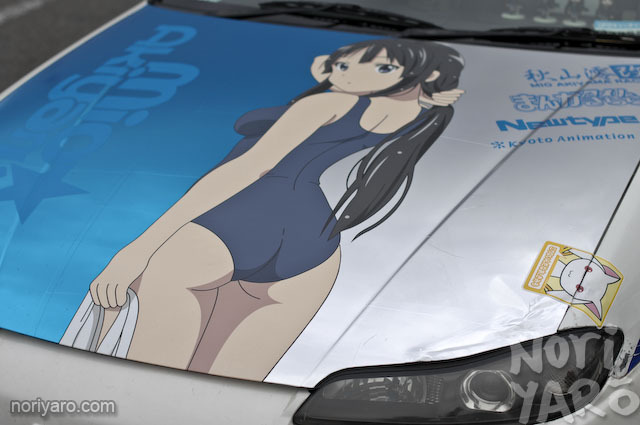 If you’re not familiar with the term itasha, it’s a play on words in Japanese. The word sha means “car”. They cram this word together with another word to describe the origin of a foreign car. Amesha means “American car”, and itasha means “italian car”. In this case however, they use the kanji character for “pain”, which is also pronounced ita. What you have then is a car that is painful to look at for most people. 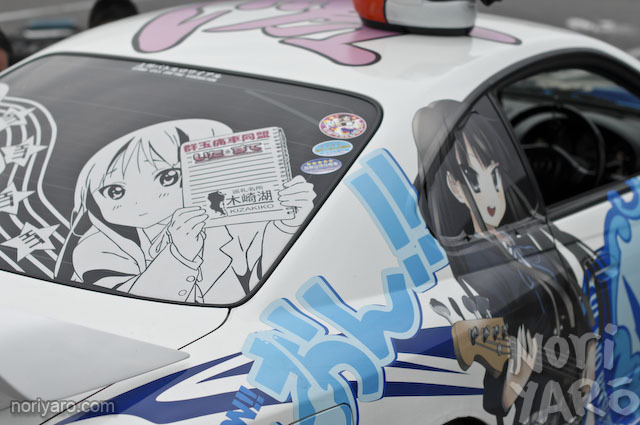 That is unless of course, you’re a big fan of anime, manga or whatever else the car is themed around. I suppose the nearest equivalent overseas would be those cars you occasionally see on the internet decorated to look like an X-Wing fighter or the Enterprise. However, these guys take it one step further. 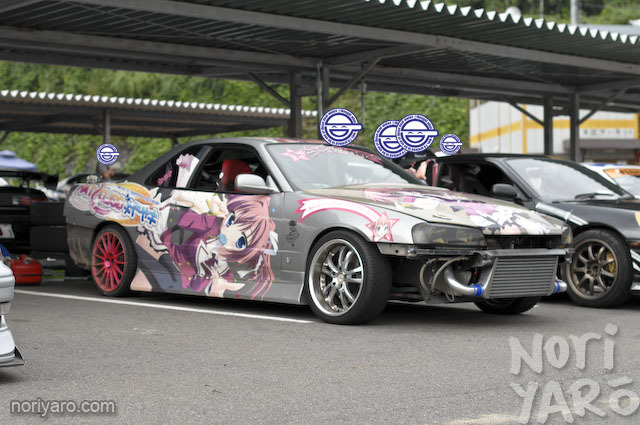 This driver has decorated his R34 with characters from the eroge Kisaragi Gold★Star. Doing this is a pretty strong statement about what you like to do in your spare time. Read up on the Wikipedia description eroge to see what I’m talking about. 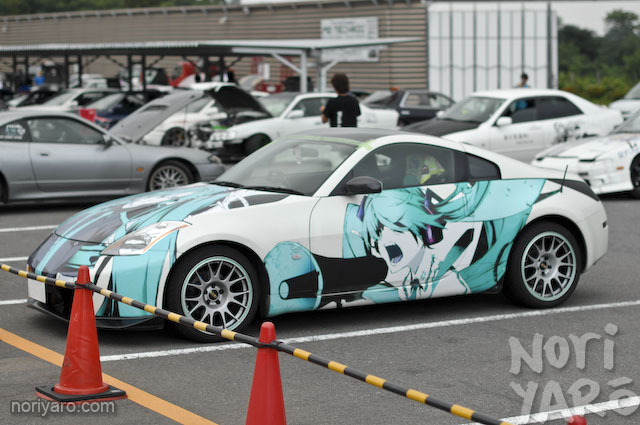 However, not all itasha are based around that sort of thing. 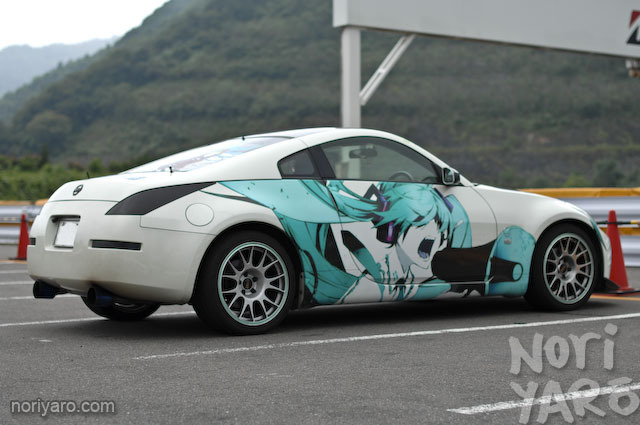 This Fairlady’s theme is the rather popular Vocaloid virtual idol Hatsune Miku. While Mikumiku is usually depicted in a much cuter way, this is how she was styled in her song, Love is War. Good Smile Company have just released a rather nice figure of this as well. This one you could almost get away with day-to-day. The rear window art is in the same style. This Zed doesn’t hurt quite so much, but what’s that over to the right? Taking the more standard approach is this Silvia based around schoolgirl band moe series K-On!‘s bassist Mio Akiyama. 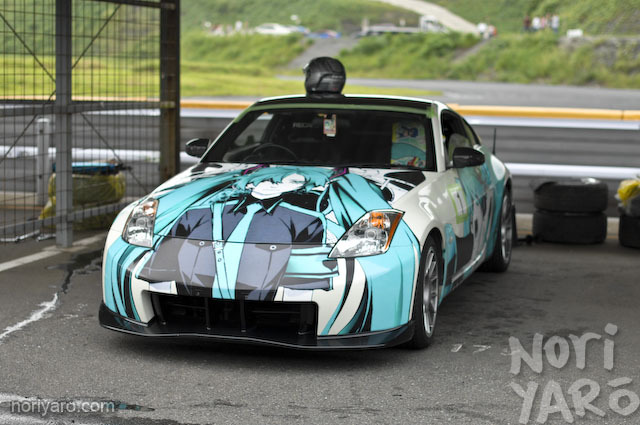 Yes, this is what an itasha should be. Sukumizu version on the bonnet. 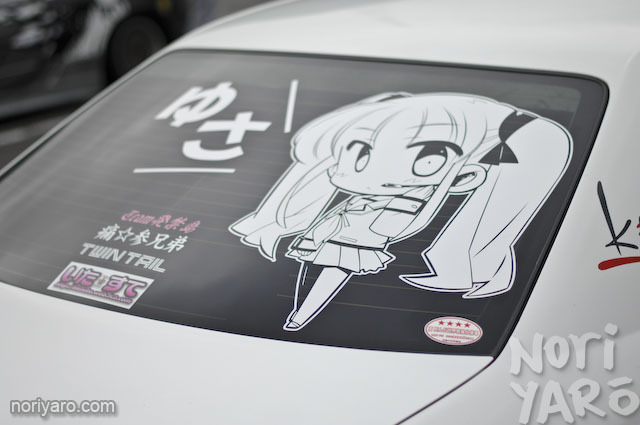 One fun aspect of itasha are the parody stickers they use. 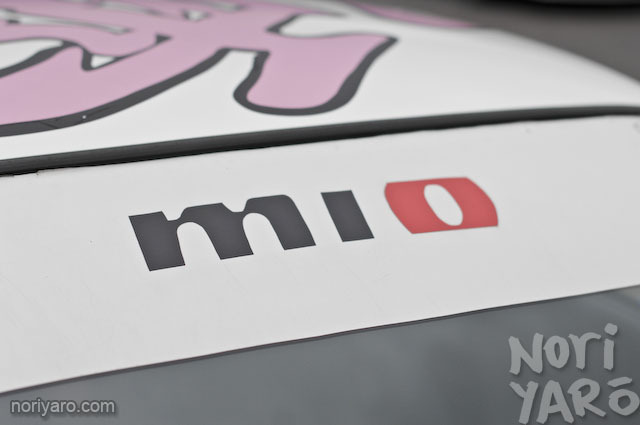 Here, Mio instead of Nismo. “Monitors, engage full power!” said the owner before sticking in a DVD. Naturally, he had a copy of K-On! to play. Sorry to the Azu-nyan fans, I couldn’t get her in a shot with the others. 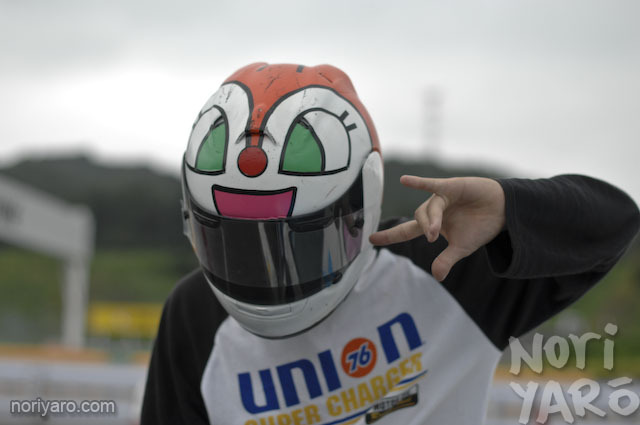 Our nameless owner of the Mio car even had a helmet made up like Dokin-chan from the Anpanman series. Kira! …and before you ask, yes, he can drift. Pretty well, I might add! Twintails are a major point of moe. Note the Tein parody. 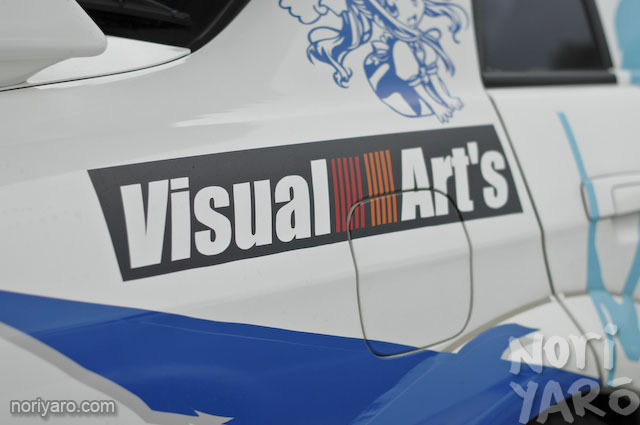 Ralliart becomes Visual Art’s, a popular game company. 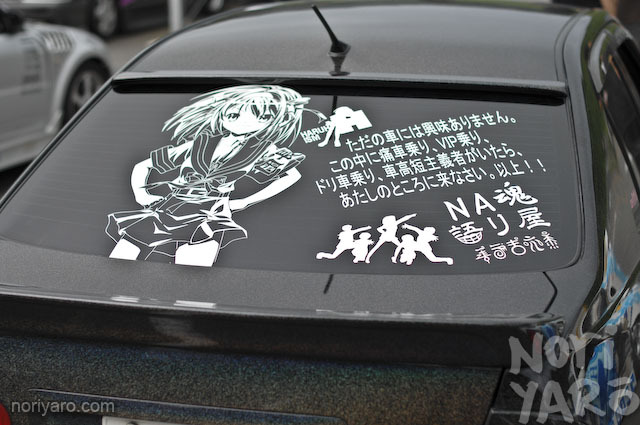 Finally for today, we have an itasha version of Haruhi Suzumiya’s famous self-introduction speech. I have no interest in normal cars. 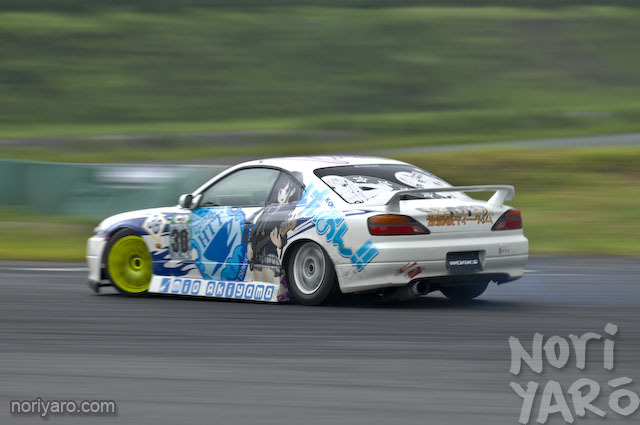 If anyone drives an itasha, a VIP car, a drift car or if any shakotan advocates are here, please come and see me. Are we supposed to laugh here? 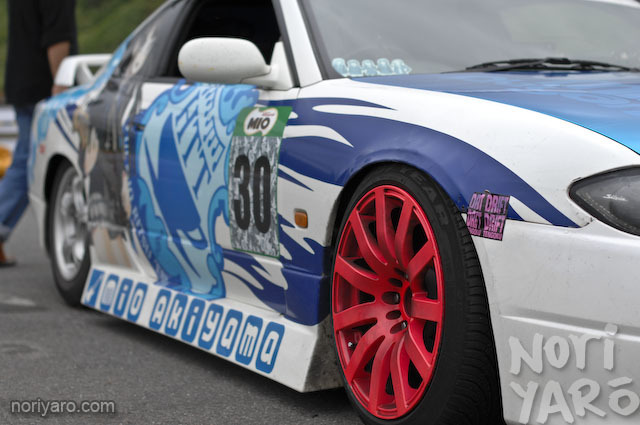 The only “Itasha” I can stand is the Hokuto no ken JZX100 that Daigo drove a few years back. I would probably get pulled over all the time here in Hungary if I`d put some Macross variable fighters on my car. These itashas satisfy both my drift otaku AND my anime otaku side! I don’t know if it hurts because under that vinils is the car that all we love so is not too wrong. If they like it’s fine but I will never do it with my car. 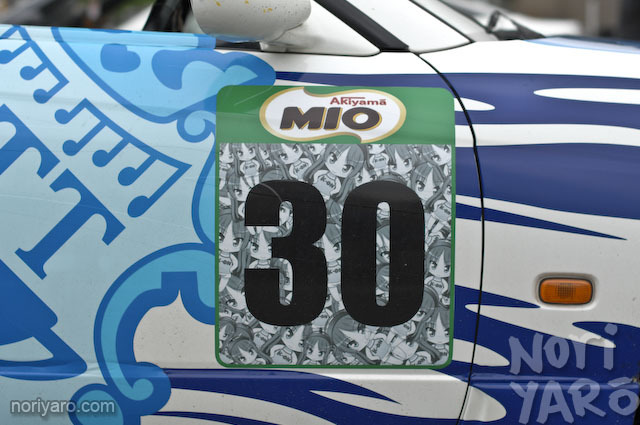 I drink that stuff every day~ Haha, now I’m gonna think of that parody sticker every time i see the Milo logos. 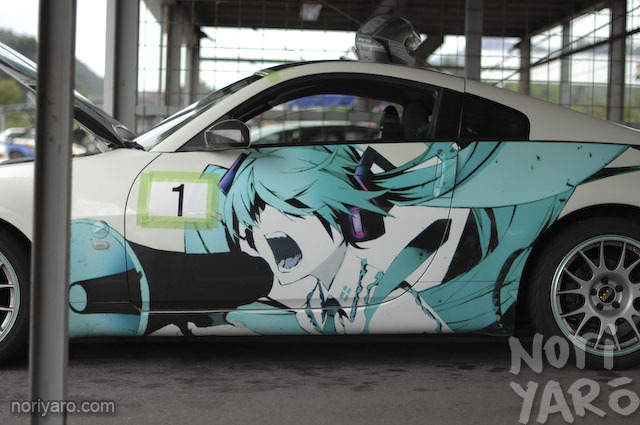 BTW, does the Z4 Hatsune Miku counts as an Itasha? I love the sticker on the last car! I see a lot of laugingmen but I’m not one of them!! Anyway: can really appreciate the way the Z has been decorated!! nice use of the ‘laughing man’ logo. NOOOOOO how could you miss out Azunyan!! 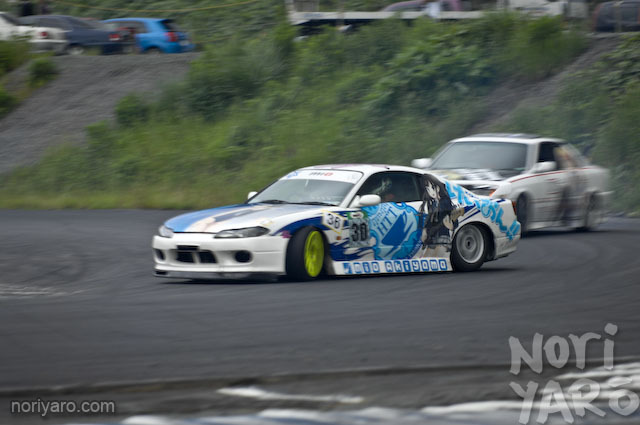 I’d definiteyl say that s15 is the best there. Too many monitors, but still if it’s K-ON it’s fine by me! Are these held every year? 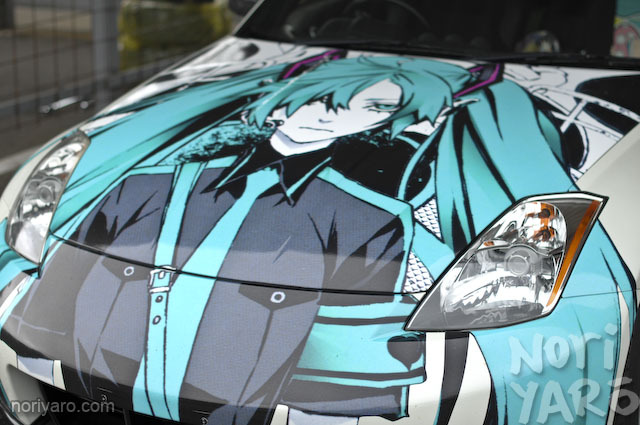 Only place I’ve ever seen proper itasha was in Akiba and the carpark of Comiket. Mate, you have the best JOB right now. 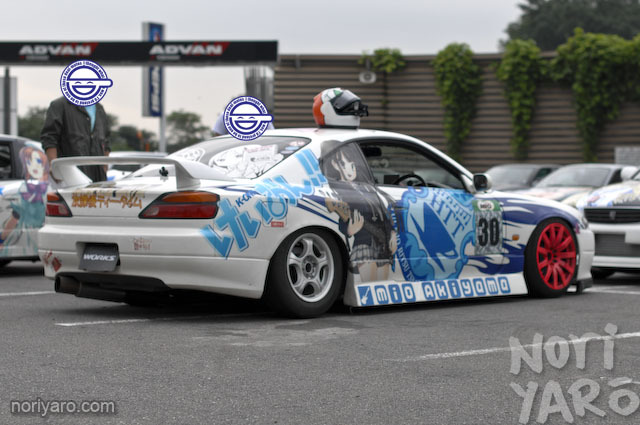 These pics also inspire me to Itasha – up my ae86. ^^ maybe some ikki tousen? hey guys!) who knows name of wheels on silvia? 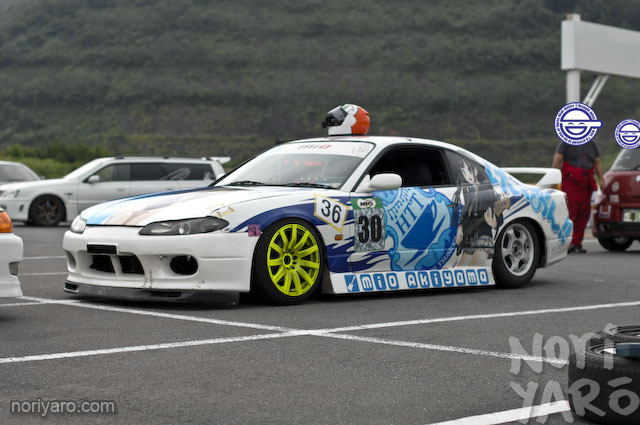 Hey, whats the rims on that Mio S15?